It has been awhile since I did a weekly wrap up! The month of July was absolutely crazy and I relied scheduling posts weeks in advance — I didn’t have time to whip up these posts! Now life is back to normal, but still busy. I managed to read two books this week, and they couldn’t be more different. Orlando is a landmark LGBTQ+ novel by Virginia Woolf in which a young nobleman from Elizabeth I’s court wakes up one morning as a woman — there’s also a bit of time travel. Sounds strange, right? It is indeed a strange book, but I did enjoy it. The explorations of gender and gender roles across English society was really fascinating, but the plot was pretty lacking (it’s not really the main focus of the book, to be fair). The other book I read was After the Fire by Will Hill. The hype is real, you guys. This book blew me away! It’s essentially a reimagining of the siege at Waco in 1993. The standoff between the US government and the Branch Davidians, a horrible religious cult, resulted in the deaths of many people on both sides. After the Fire is a work of fiction, but the author says that he never forgot seeing the news reports of the siege and it stuck in his mind for years. This is an absolutely brilliant book that’s so well written — I’d highly recommend it. This will count for the ‘a book that will leave a mark’ challenge for the N.E.W.T.S. readathon. Yes, I’m reading slightly out of order. It will (probably) all be fine. I finished After the Fire on the bus this morning, so I don’t really have any books going at the moment! However, I am planning to read these four in the next week or so. City of Miracles is the final book in the Divine Cities trilogy, which my book club is reading. We meet at the end of the month so I have to get cracking! Kate from Reading Through Infinity and Hollie from HollieBlog are hosting the YALCathon this weekend. This readathon is to get us all started on all the books we bought at YALC this year and I’m planning to read Record of a Spaceborn Few (I didn’t get it at YALC, but Becky Chambers was at YALC so it totally counts), Sweet Black Waves, and Gilded Cage. After the Fire was one of the books I chose and it totally counts toward my total. I’ve been dying to read all of these for ages, so I’m looking forward to getting started! You can follow everyone’s progress on Twitter! None! I bought too much at YALC to justify getting any more. You guys. I am beyond thrilled to have received my copy of the latest Tamora Pierce book. She’s one of the reasons I read fantasy to this day and I absolutely adore her Alanna books. Tempests and Slaughter is due to come out in September! That’s it for this week! I hope everyone is recovering post-YALC and has been reading good books. This weekend is reserved for books and going to the cinema (what will we watch? I have no idea). What are your plans for the weekend? Are you going to participate in the YALCathon? 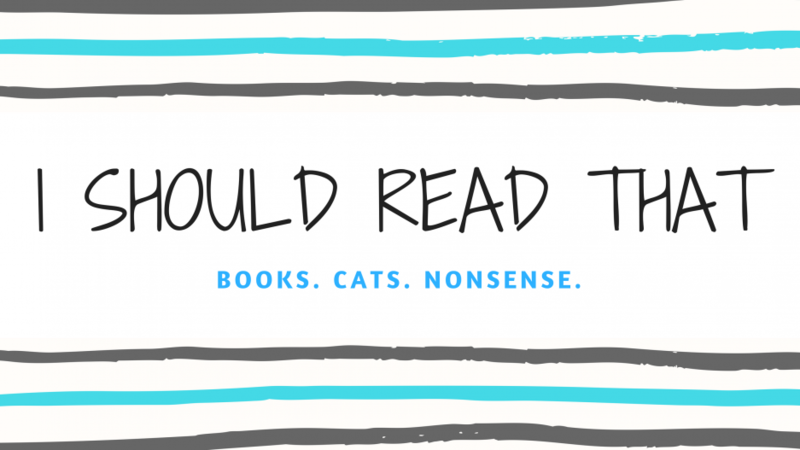 What are you hoping to read? Let me know! ooooh, next week will be a goooooooooood reading week! I’m not participating in the YALC readathon as I want to dedicate my time to doing some writing and catching up on all the blog posts I need to schedule, but the current book I want to read and hopefully finish this weekend is one I picked up at YALC – The Price Guide to the Occult by Leslye Walton.